Many of our clients - especially in government or non-profit organizations - work within a tight budget. It’s understandable, then, that cost is one of their biggest concerns as they seek to have their questions answered. Once a client or prospective client understands what the NEMS model can and cannot do, the next question is often “How much does a run cost?” A “run” usually refers to running the model for a particular scenario or using the model as a basis for analysis to answer a question. The National Energy Modeling System (NEMS) model is an integrated energy model that can provide a wealth of information on the future of energy production, pricing, conversion, consumption, and imports. But an analyst cannot simply input a set of assumptions, press a button, and get a useful answer to a question. There are several different factors involved and these factors drive the cost of the analysis. All NEMS model runs are not the same. The model is based on a number of different assumptions (economic factors, world energy markets, availability of resources, choice of technology, and so on). To answer some questions, it is only necessary to change one or a few of these assumptions. For more complex questions, it’s often necessary to change many of these assumptions and run multiple scenarios. Changing a large number of assumptions before running the model requires more thought and effort than simpler runs. We may recommend implementing these assumptions in a step-wise fashion over multiple runs to gain a better sense of the impact of each of the assumptions on the overall results. In addition, after we run the model, we have to review the results to ensure the new assumptions worked within the model as expected, and interpret the results for use by the client. All of this extra work and time will result in additional costs. The NEMS model is a lot of things, but it is not user friendly. Our team of experts has many years of experience setting up the model, running it, and interpreting the results. Some of our long-term clients have a good understanding of the model’s structure and capabilities, but they may want to delve deep into the results to better understand the underlying causes of the policy results. Others that are new to the model will require more analysis and explanation to help them understand how the model works, how to design appropriate scenarios, and how to make sense of the results. There are certain common energy scenarios for which the model has been used for several years. These are where NEMS really shines without much tweaking. Examples of these common scenarios include changing the cost of a single technology or changing the amount of available natural gas resources. Some client questions—for example, the potential impact of a new energy policy or technology—may require modification of the model to ensure that the model is capable of answering their questions. 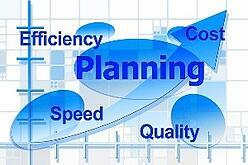 Our team of experts is well qualified to customize the model to meet the client needs. However, the amount of work required to customize the NEMS model is a significant driver of the cost of our services. For more information on ways we can work with you to use the NEMS model to answer energy questions, from the simple to the complex, download our free OnLocation Services Guide.